Nanotech brings worst content ever to your homes... in 4K! Here, we'll show you. These are the eleven films coming to UltraFlix - a service that Nanotech wants to be the Netflix of the 4K generation - in the near future. We've ranked them in order of quality, from 'best' to worst. Bonus points awarded for excellent tag lines. A woman struggles to make it in the recording industry, whilst her garbage man brother/manager organises her gigs. It's as electric as it sounds, frankly, which is to say that it might be the best movie in this list. It's the age-old story: college professor gets framed for murder by arch rival and Pulitzer prize-winning psychiatrist. The DVD cover displays a clever picture cue of what's to come, showing Jon Voight as said professor holding a gun, ready to teach someone a LESSON that will no doubt be DEADLY. Malcolm in the Middle is a pizza boy who gets super-powers from eating a GM tomato. Also starring Diamond Dallas Page as 'The Big Cheese'. Unwatchable, but the tag line is a winner. What do you do when you're down to your last penny and you've got your son's medical bills to pay? You become an MMA champion fighter and punch your way to prosperity. We can confidently say this is the best critique of the American healthcare system that Danny Trejo has starred in. Detective teams with psychic to track down missing child. Sounds harmless, but Beyond is about as entertaining as acute food poisoning. "Sometimes loyalty can get you killed". This may be a forgotten line from a Meat Loaf B-side but thankfully he made it into a WHOLE MOVIE instead. Thanks for nothing, Meat. 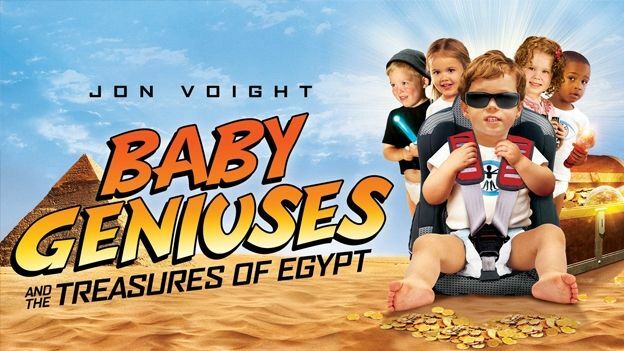 A film about two abnormally clever, abnormally ugly children that we're told has no relation to Baby Geniuses whatsoever. The worst of a dreadful run of Tekken movies. Can only be considered good in a world where it's 'good' to survive a movie without having your head removed from your body. Almost certainly the least welcome fifth instalment of anything, ever. Say I walked into work, set fire to everything, threw my computer out of the window and left a post-it note saying 'everything is on fire'. That's the equivalent of what Baby Geniuses 5 contributes to the film industry. All jokes aside, the question remains: of all the films that could have been converted into 4K, why do we get these?